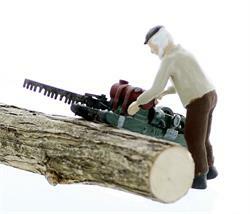 Bucker operating his Dragsaw, sawing Felled trees. 4 Small detail pieces on the saw are to be installed when installing on the layout...all included...very easy !! 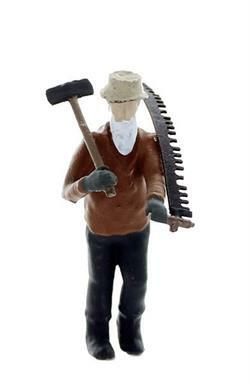 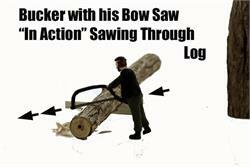 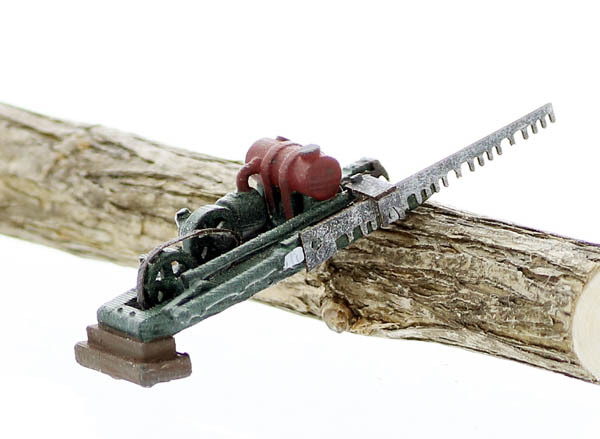 see our other HO Scale Logging Buckers and Fellers below as well....great selection for your logging operations !!! 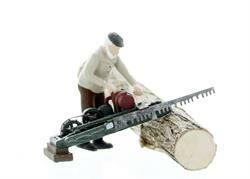 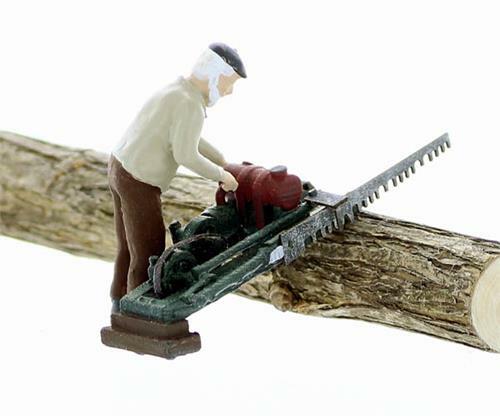 Father and Son Lumberjack Team....High up on their SpringBoards undercutting a tree.....Use this 2 man cutting team up in a tree or on the ground crosscutting....great set for any logging scene ! !